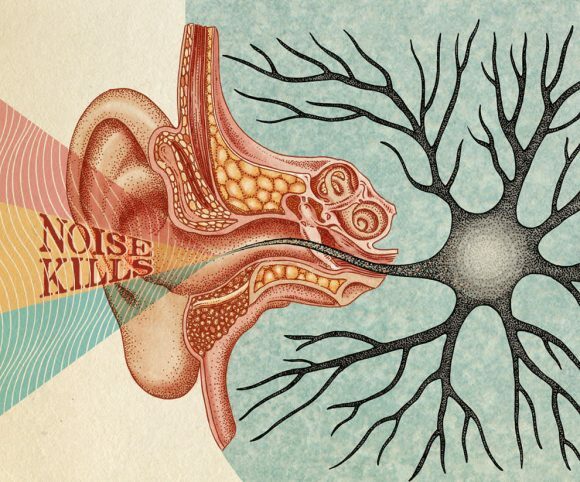 The government State of Sweden using voice to skull technology and syntethic telepathy to beaming and looping sound of sirens indoors and outdoors, day and night. State of Sweden beaming sirens for 7 years like a roaring accusing lion and then looping looping a murderer, murderer, murderer goes free. This is swedish organized gang stalking methods 2018. Organized Gang Stalking in State of Sweden has going on for 7 years soon and Organized Gang Stalking in Sweden seems working in same way when Satan your accuser walking around and roaring, seeeking someone to devour, and Satan never sleeps and Organized Gang Stalking in Sweden never sleeps. When your accuser (State of Sweden) beaming and looping a murderer, murderer, murderer goes free into your apartment they acting in same way The Devil when he roaring around. Every action of organized gang stalking starts simultaneously and synchronously to interfering, harassing and and all stalking working in same simultaneously and synchronously way. It´s like a stalking Spirit roaring around and never sleeps in the Swedes Organized Gang Stalking Matrix. And accusing targeted individuals is part of the organized gang stalking program to achieve their goal of destruction, drive them to madness or suicide and this Matrix is controlled by other entities in other dimensions (Archons). Satans goal is to get humans to destroy themselves with vices or conflicts and organized gang stalking has same goal; drive them to madness or suicide. 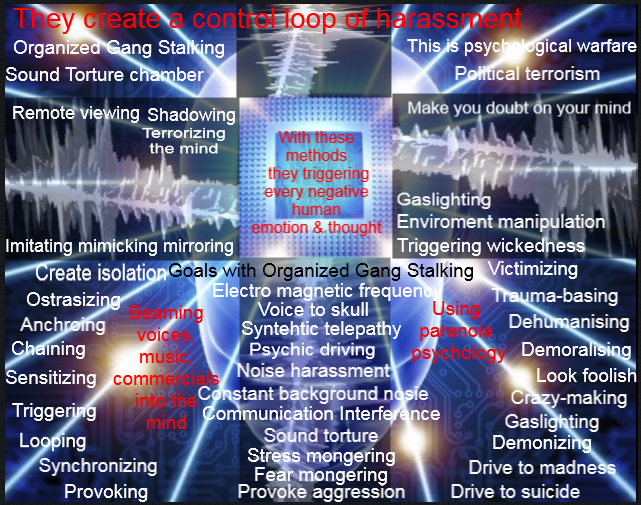 Organized Gang Stalking using noise in every form they can and organized gang stalking is more than accusing targeted individuals; it´s psychological warfare and political terrorism. Power structures can be covertly made or overtly suppressed. Rumor and gossip form the substratum from which accusations of sorcery or witchcraft may be made, witchcraft may be made, if such notions are culturally present or enter into people’s life-worlds. Bullying can be easy to see, called overt, or hidden from those not directly involved, called covert. Some examples of overt bullying include: Teasing, belittling or consistently making a person the victim of mean-spirited jokes; Abusive language; Behaviors that are designed to humiliate or frighten. Cyber bullying can be overt or covert bullying behaviours using digital technologies, including hardware such as computers and smartphones, and software such as social media, instant messaging, texts, websites and other online platforms. Cyber bullying can happen at any time. It can be in public or in private. Overt verbal aggression includes song duels, word duels, harangues, sarcastic and derogatory humor, and insults. Given the phantasmatic and perhaps unreal aspect of the rumors, they do not merely “unveil” secrets as much as help constitute the “public secrets” that represent an alternate imagination regarding the world in which we live. Rumor and gossip are performances—more risky because less authorized than public speech, but potentially with more effective social consequences as a result—in which people enter the contemporary public sphere, constructing the self and society through particular modes of discourse. Therefore, although rumor-mongering appears to violate the secrecy that makes immoral practices possible and powerful, it creates an image of the immoral and creates us-versus-them relationships with the objects of the rumor. Satanic power involves manipulating human consciousness through energy and thought vibrations. Some of these low frequency thought vibrations include hatred, fear, selfishness, and guilt. To create an energy field, a vibrational frequency, which connects the consciousness of the participants to the reptilians and other consciousness. What is so horrifying about these predators is the quality of the pain and perceptual distortions they inflict into their victims’ brains just for the sake of intentionally wreaking havoc, discomfort, and destruction. It is like them trying to implant poison packets into their victims’ brains to deprive them of a good quality of life, their right to liberty, and their ability to pursue happiness. Organized Gang Stalking is designed to destroy life on evey level, create sickness, madness and death. Organized Gang Stalking making the work for the Transhumanism Program. Destroying every human quality and robotizing the human mind so it can be totally mind controlled. Organized Gang Stalking is a robotized automatic ongoing machine like program designed by transhumanism program. They who designed Organized Gang Stalking Program also designed the transhumanism program, and to be able to developed the transhumanism program everyone must be mind controlled and they who not are mind controlled are been targeted by thoose who already are mind controlled. Organized Gang Stalking Program is a “Juggernaut Program” – is a literal or metaphorical force regarded as mercilessly destructive and unstoppable. This “Juggernaut Program” can symbolize today´s Organized Gang Stalking and is the frontrunner of destruction of human qualities and then replace it with Transhumanism Program. Organized Gang Stalking Program is a “Juggernaut Program” that´s enable The Transhumanism Program. The Ruler has always mind controlled the masses and today they have the technology to let the masses of population surveillance each other (organized gang stalking) and at same time destroy every people with human qualities. Organized Gang Stalking attacking every human quality that exist. The expressed goal of Organized Gang Stalking is to silence a victim, drive a victim insane and possibly to the point of suicide, or destroy the victim’s reputation. Organized Stalking is a form of terrorism used against an individual in a malicious attempt to reduce the quality of a person’s life so they will: have a nervous break-down, become incarcerated, institutionalized, experience constant mental, emotional, or physical pain, become homeless, and/or commit suicide. This is done using well-orchestrated accusations, lies, rumors, bogus investigations, setups, framings, intimidation, overt or covert threats, vandalism, thefts, sabotage, torture, humiliation, emotional terror and general harassment. It is a “ganging up” by members of the community who follow an organizer and participate in a systematic “terrorizing” of an individual. Organized gang stalking can involve a group in the hundreds to thousands harassing a single person or family 24/7. The victim is stalked en masse by car, foot, bike, and air in order alienate and isolate the victim. The goals of gang stalking are to: provoke the victim to assault someone and get arrested; make the victim seem delusional/ mentally ill, look foolish; make the victim so depressed they become suicidal. Tactics used are relentless color harassment, noise harassment, air harassment, hand signals, electronic monitoring inside the home and car (complete invasion of privacy; redirecting of phone calls, emails, postal mail), workplace mobbing, “directed conversation” and innuendo, erratic/ aggressive driving, bizarre/rude/bullying behavior in the community, and much more. Police and fire dept. are often involved in the stalking so the victim feels like they have nowhere to turn and it is hard to prove. This is extreme criminal activity that is becoming more common and needs to be outlawed. Organized Gang Stalking creating illness with evil methods and evil minds like witches and this is psychological and political terrorism. This is how Organized Gang Stalking is been used in Sweden. They create madness with wickedness psychology and gaslighting and organized gang stalking is designed to drive people insane or to suicide.